She is as interesting as she is dichotomous. She seems detached, aloof and extremely charming all at the same time. She hides a sea of emotions behind those telling eyes. At one moment she intimidates you and the very next she puts you at ease with a warm smile. You can't second guess what's going on in her beautiful mind. But give her thoughts some breathing space and the words flow seamlessly. That is Nimmi Harasgama for you. The seasoned trilingual, multi-genre, actress of TV, film, and theatre, holds a degree in Drama and Theatre Arts at Goldsmiths College, University of London. She had studied 'Acting in Film' at the New York Film Academy and 'Scene Study for Film and Television' at the Ivana Chubbuck Studio, Los Angeles. Though she does not make an appearance in the spotlight often, when she does, she leaves a lasting impression. From playing the title role of a West End (London, UK) production of the 'Snow Queen', to supporting stars such as Geraldine Chaplin in the film 'Mother Teresa: In the Name of God's Poor', Nimmi has been there and done that. 'August Sun' (Ira Madiyama) won her the Best Actress Award at the 2004 Las Palmas International Film Festival in Spain. Her first Tamil speaking role was in 'I Too Have a Name'. The production was nominated for the Golden Bear for 'Best Short' at the Berlin International Film Festival in Germany. 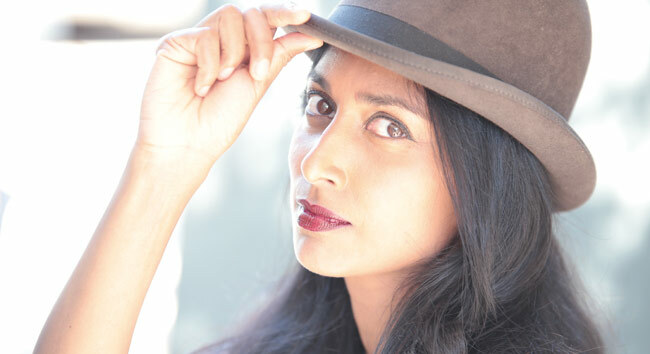 'Flowers in the Sky' (Akasa Kusum) was the Academy Award Best Foreign Language Film submission from Sri Lanka for 2010. Nimmi also has a heart for humanitarian issues. She used drama and forum theatre to conduct psychosocial rehabilitation work with young children affected by the 2001 Tsunami. 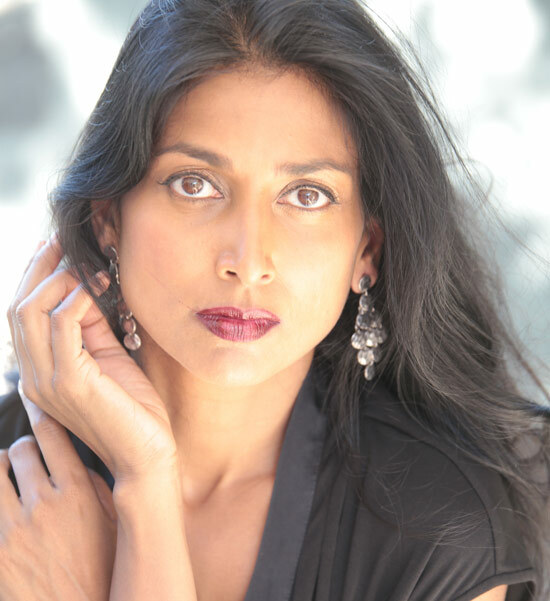 Nimmi is currently residing in Los Angeles. Q: If you could not become an actress, who would you be? A: Well I have actually done other jobs. I was a producer and presenter at Young Asia Television. I also published magazines with my company, Well Red Ink, which I set up with Minoli Ratnayake. We launched with Adoh! Magazine. When I was young I modelled after training with Seneka De Silva. I taught as well. I think when you decide to be an actor; you end up doing other jobs too. The jobs I did were all things I really wanted to do. Q: If you could compare yourself to an animal, which animal would it be and why? A: My niece just told me she thought I was like an elephant! It is not because of my size apparently because I am skinny. It is because I am nice and I don't have sharp teeth. I am not distracted by my phone when she talks to me. There you go! From the mouths of babes! Q: What subject did you hate most in your school syllabus? A: Maths. The teacher was awfully mean. Q: If you could become someone else for a day, who would you choose to be and why? A: Glinda the good witch from 'Wizard of Oz'. I am reading 'Wizard of Oz' to my son at bedtime and if I could become Glinda the Good Witch and grant him all his wishes he would be over the moon happy! Q: What is the nosiest question that you have been asked? A: All these questions! Ha ha ha ha ha... Just kidding. I don't think I have been asked a nosey question. I am pretty open about my life. I am not someone who hides who I am so I guess that's boring. Q: One moment in life that you would like to recall over and over again. A: Seeing my son's face the moment he was born and given into my arms. And singing 'Happy Birthday' to my mother with my dad in the morning of her birthday. That morning was the last morning my dad was alive. Q: If you were given an opportunity to render your voice to any animation character in a sequel to a movie made so far which character would it be? A: To be honest I have not seen an animated movie in years and I cannot remember. Sorry. Oh but I just auditioned for a new Disney animation for the voice of a yoga teaching elephant. That voice was a really fun voice to do. Q: Have you got any dreams which you have not yet been able to fulfill? Q: What kind of cuisine do you prefer? A: I love a good 'Bath curry'! My favourite food is Buriyani from the lady down Siripa Road. And my favourite Lamprais are from either Jennifer Ingleton or Graham De Kretser. My goodness if I could have a lamprais now I would be a very happy camper! Q: What gives you nightmares? A: I try and deal with my fears now! But I am still a big bayagoola! - even for a creak in the floor boards. Q: What is the last thing that is usually on your mind before you sleep? A: I always take one last look at my son who is sound asleep before I turn in. He is so peaceful at that moment. It just fills me with so much happiness. Then I sleep. Q: What would you last wish be? A: I haven't thought about that yet. Need time to think it over.